Ubiquitous computing and The Internet-of-Things (IoT) emerge rapidly in today’s life and evolve to Self-organizing systems (SoS). A unified and scalable information processing and communication methodology is required. In this work mobile agents are used to merge the IoT with Mobile and Cloud environments seamlessly. A portable and scalable Agent Processing Platform (APP) provides an enabling technology that is central for the deployment of Multi-agent Systems (MAS) in strongly heterogeneous networks including the Internet. A large-scale use-case deploying Multi-agent systems in a distributed heterogeneous seismic sensor and geodetic network is used to demonstrate the suitability of the MAS and platform approach. The MAS is used for earthquake monitoring based on a new incremental distributed learning algorithm applied to regions of sensor data from stations of a seismic network with global ensemble voting. This network environment can be extended by ubiquitous sensing devices like smart phones. Different (mobile) agents perform sensor sensing, aggregation, local learning and prediction, global voting and decision making, and the application. The incremental distributed learning algorithm outperforms a prior developed non-incremental algorithm (Distributed Interval Decision Tree learner) and can be efficiently used in low-resource platform networks. Load-bearing structures are typically designed towards relevant load cases assuming static shape and fixed sets of materials properties decided upon during design and materials selection. Structures that could change local properties in service in response to load change could raise additional weight saving potentials , thus supporting lightweight design and sustainability. Materials with such capabilities must necessarily be composite in the sense of a heterogeneous build-up, exhibiting e. g. an architecture consisting of numerous active cells with sensing, signal and data processing and actuation/stimulation capability. One concern regarding active smart cellular structures is correlated control of cells’ responses, and the underlying informational organization providing robustness and real-time capabilities. We suggest a two-stage approach which combines machine learning with mobile and reactive Multi-agent Systems (MAS). In it, the MAS’ task is to analyze loading situations based on sensor data and negotiate matching spatial redistributions of material properties like elastic modulus to achieve higher-level optimization aims like a minimum of the total strain energy within the structure, or a reduction of peak stress levels. The associated machine learning approach would be employed to recognize loading situations already encountered in the past for which optimized solutions exist and in such cases bypass the MAS system to directly enforce the respective property distribution. In the present study, a proof of concept of the approach is presented which combines finite element method (FEM) and MAS simulation, with the former primarily taking the place of the physical structure. In addition, FEM simulations are used for off-line training of the MAS prior to its deployment in the real or simulated structure. The classification models learned this way represent a starting point which is constantly being updated at run-time during the service life of the structure using incremental learning techniques. In the past decades there was an exponential growth of computer networks and computing devices, connecting computers with a size in the m3 range. The Internet-of-Things (IoT) emerges connecting everything, demanding for new distributed computing and communication approaches. Currently, the IoT connects devices with a size in the cm3 range. But new technologies enable the integration of computing in materials and technical structures with sensor and actor networks connecting devices in the mm3 range. 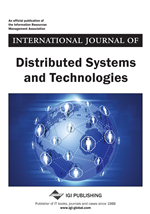 This work investigates issues in large-scale computer networks related to the deployment of low- and very-low resource miniaturized nodes integrated within materials. These networks operate under harsh conditions with possibility of technical failures requiring robustness. Despite sensor networks used for structural monitoring, self-adaptive materials can profit from self-organizing and autonomous distributed data processing using Multi-agent systems, demonstrated in this paper. Self-adaptive materials are able to adapt the material or mechanical structure properties based on their environmental interaction (load/stress) to minimize the risk of overloading. A structure that could change its local properties in service based on the identified loading situation could thus potentially raise additional weight saving potentials and thus supporting lightweight design, and in consequence, sustainability.